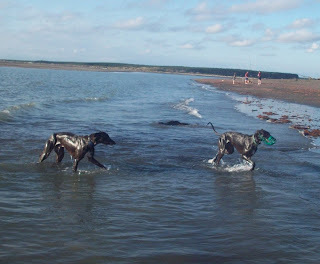 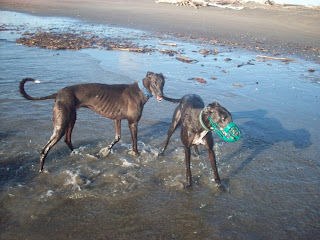 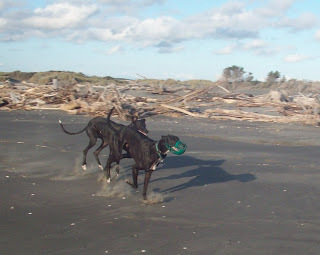 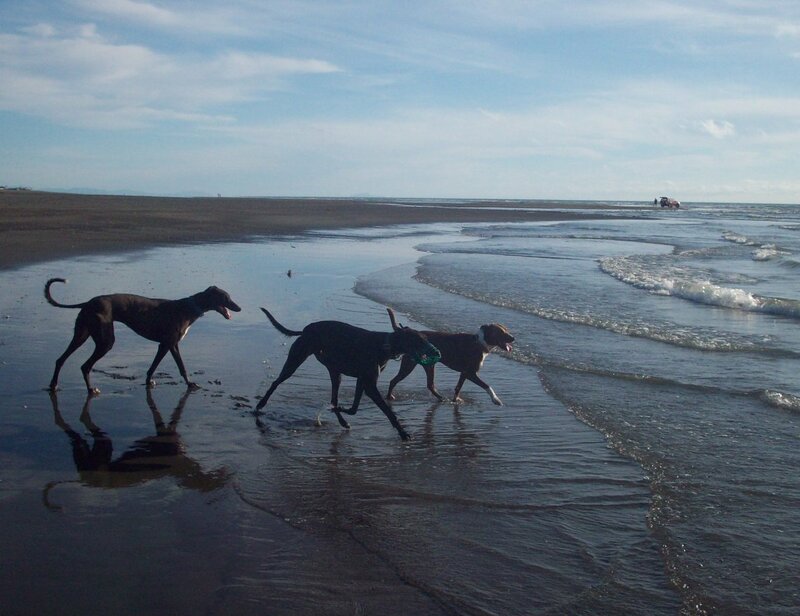 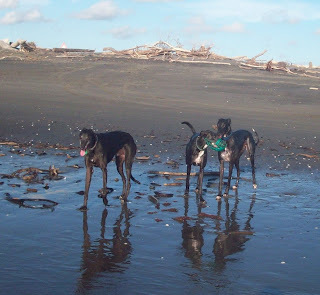 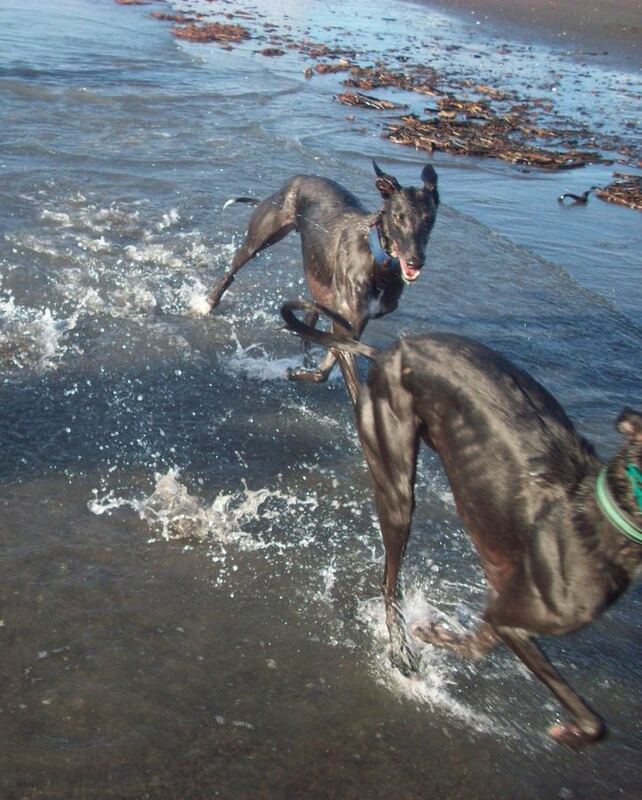 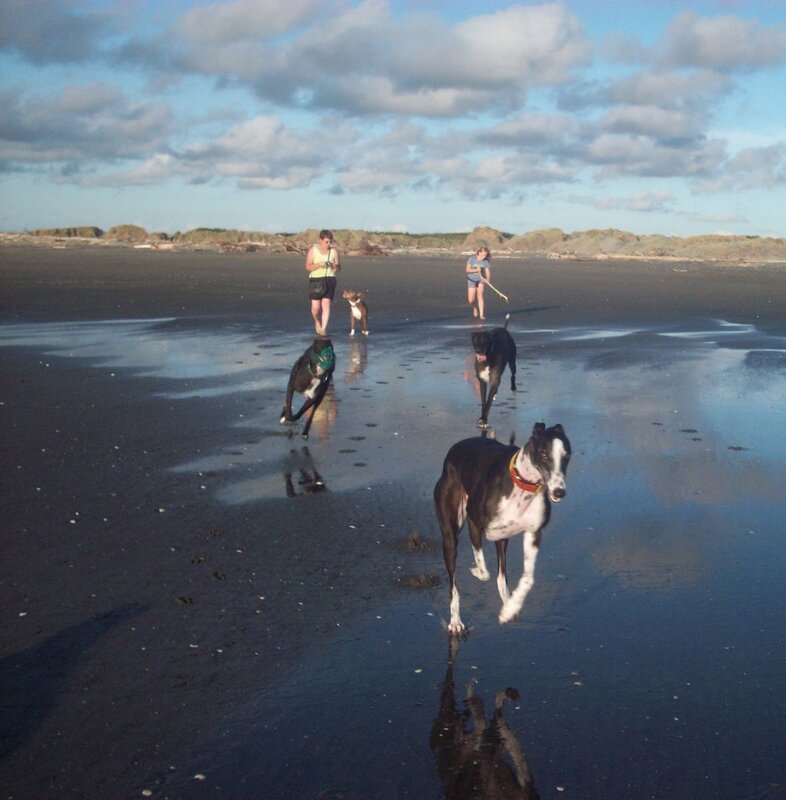 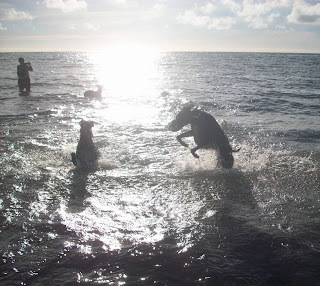 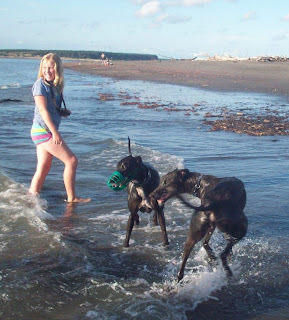 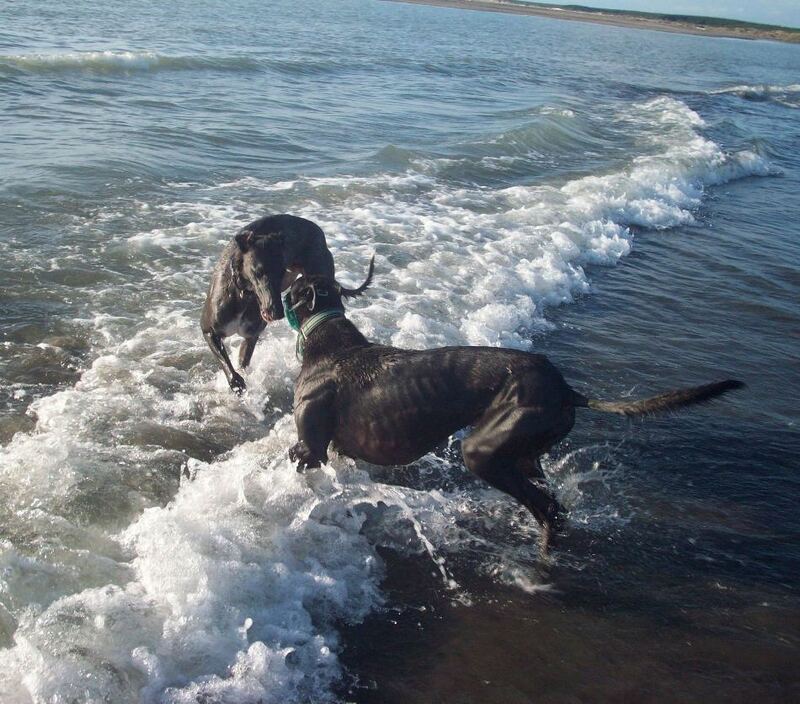 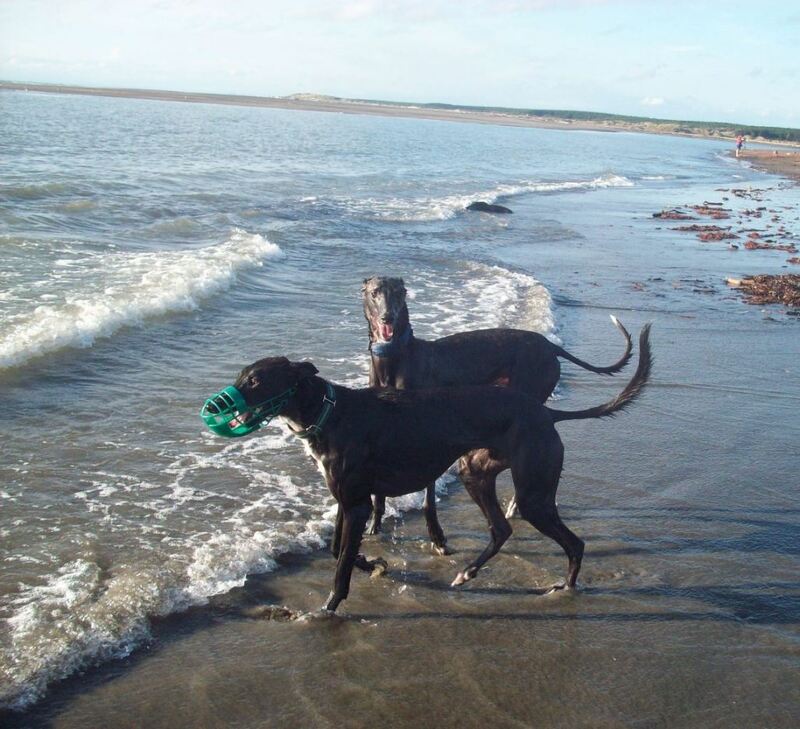 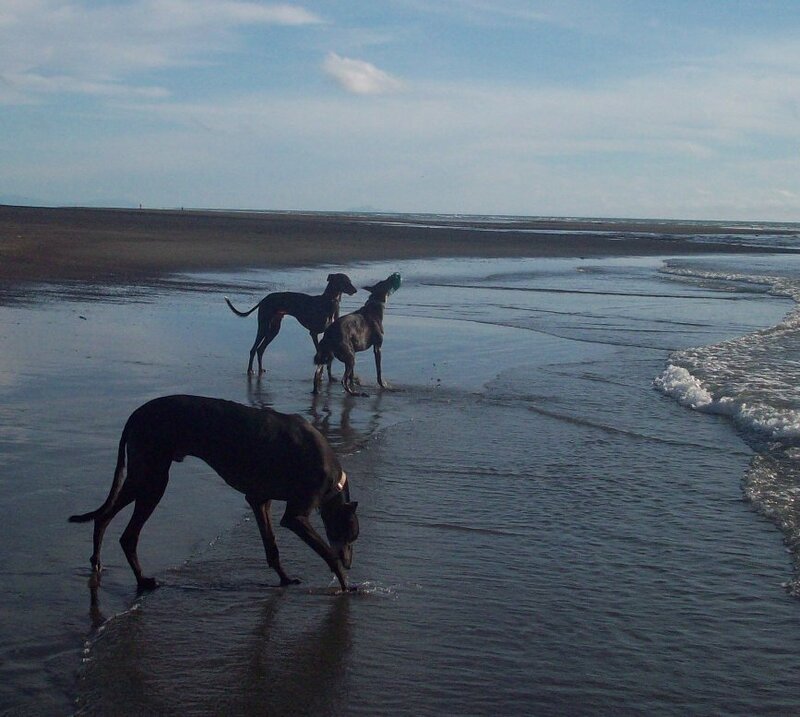 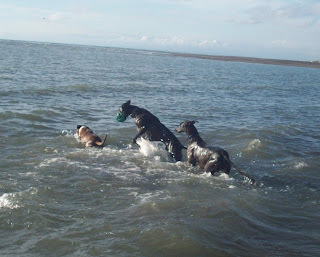 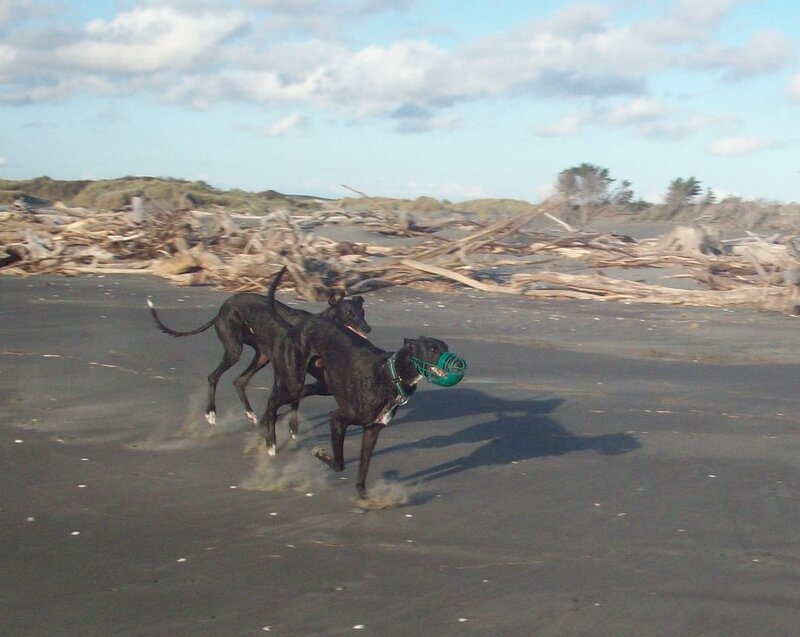 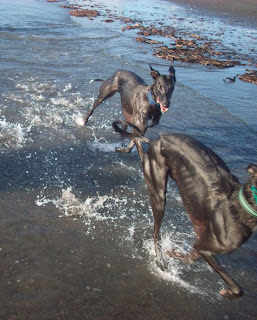 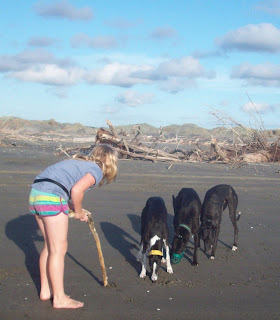 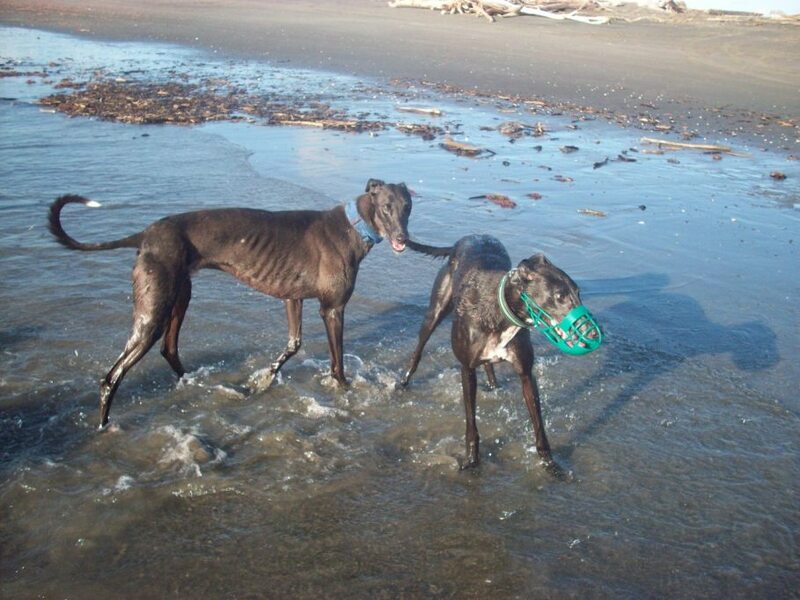 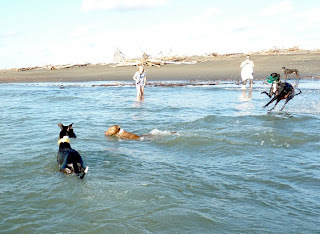 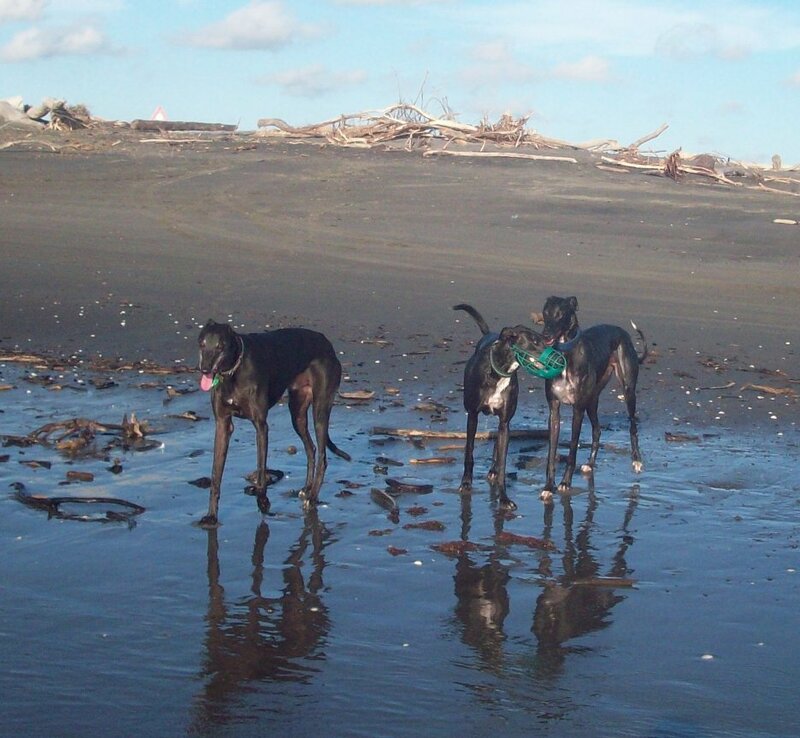 Nightrave greyhounds blog: Tangimoana beach run tonight! 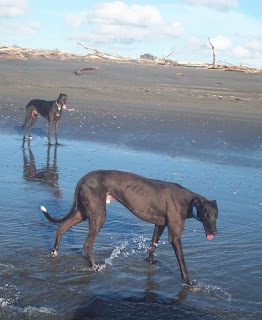 and my gorgeous Louie (Charlston State). 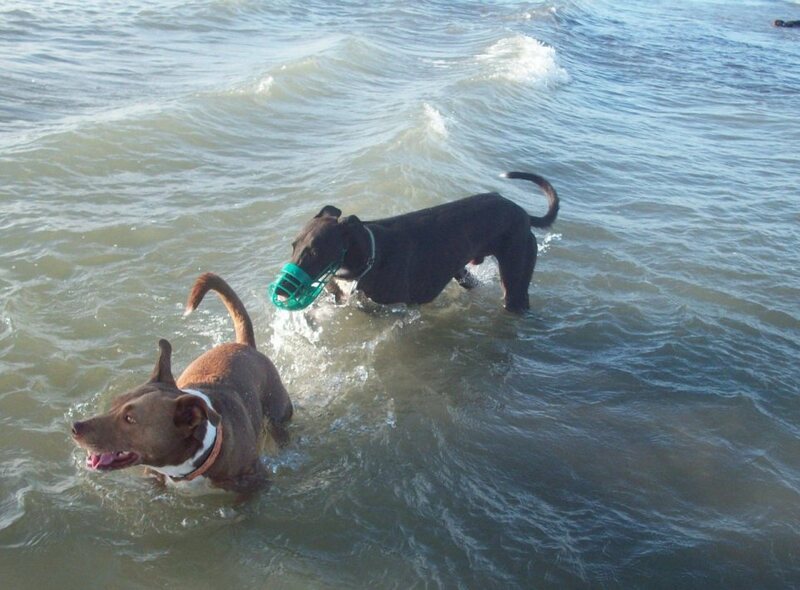 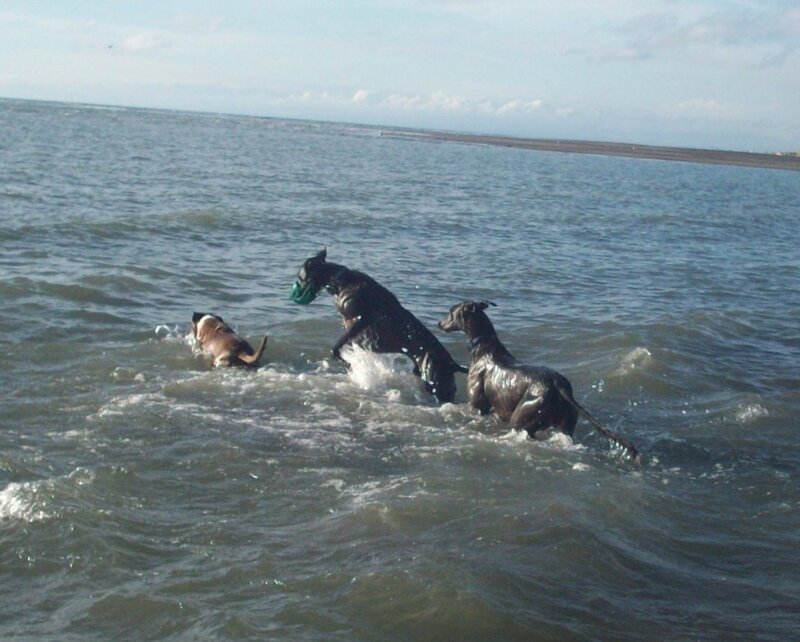 Kenzo and Crank played like puppies, despite both of them being 4 years old :) They were both literally throwing themselves into the waves chasing Frankie! 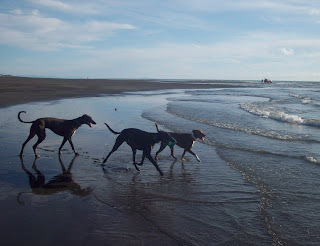 (who it seems loved every second of it !). 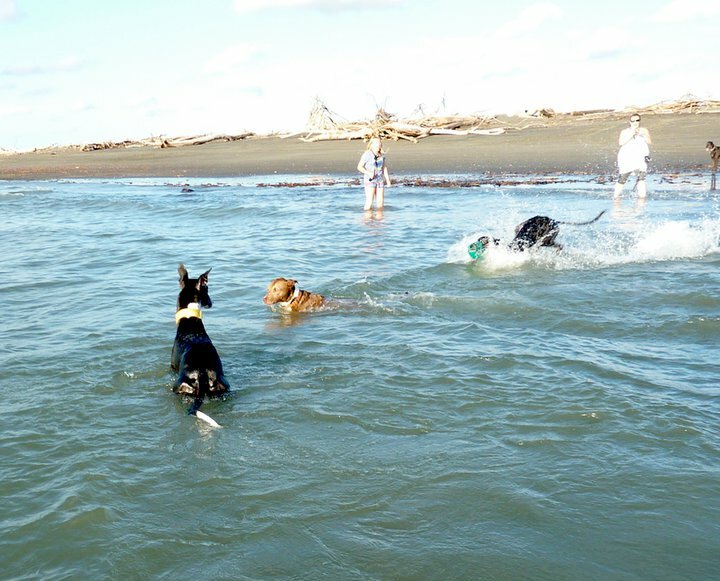 Check out Snapper on the right: Hold on Frankie, I will save you!